The summer holiday season has lifted the lid on a potential capital gains tax time bomb for thousands of budding Airbnb and Stayz entrepreneurs, with the Australian Taxation Office revealing that a burgeoning number of homeowners are “unwittingly” opening themselves to tax liabilities by renting out their homes on sharing sites. The home has long been seen as the great tax perk for the average Australian because of the capital gains tax exemption. But the ATO’s deputy commissioner in charge of small business, Deborah Jenkins, told The Australian that the ATO had been made aware of many people who were potentially exposing themselves to future capital gains headaches — oblivious to the implications of renting out their homes. “While renting out your home may bring in extra income in the short term, we are finding that people are also, unwittingly, opening themselves up to capital gains tax liabilities,” Ms Jenkins said. Tax experts are concerned many hosts are not fully informed. “Superhosts” Cheryl and Darryl Dobe were early Airbnb adopters, having rented out a spare room in their harbourside apartment in Fairlight in Sydney’s north since 2013. Ms Dobe said she was fully aware of the capital gains tax implications of renting a room in her house. “(But) it’s only a portion of your home,” she said. Ms Dobe said the couple had been “very diligent” in ensuring their tax affairs were above board. “You have to declare it as taxable income,” she said simply. Ms Dobe estimated that the room was rented out about 50 per cent of the year, in what had been a strongly positive experience for the couple. The Australian understands the ATO has been working closely with sharing economy leaders such as Airbnb and Stayz, as well as some payment platforms, to help scrutinise their databases and monitor people making extra income by renting out part or all of their homes. The ATO wants information from the sharing sites on two fronts: not only hunting for people who will now become liable for capital gains tax, but also finding people who are failing to declare rental income made through sharing sites. A section of Airbnb’s terms of service for hosts now explicitly states that “tax regulations may require us to collect appropriate tax information from hosts, or to withhold taxes from payouts to hosts, or both”. One of the most popular avenues for individuals is using Airbnb to rent out their homes when they go on vacation during holiday seasons. Other homeowners are using sharing sites on a more ongoing basis, making handy extra income by ensuring spare rooms in their homes are occupied. If people rent out part or all of their home, the tax office uses a complex formula to work out the proportion of the eventual capital gain that they lose when it is sold, based on the proportion used to produce income and the period it was used for rental purposes. Some Airbnb hosts contacted by The Australian yesterday admitted to having been caught unaware of the capital gains tax implications of their entrepreneurial ventures. The local sharing economy has grown exponentially in recent times, with an estimated more than 100,000 listings on Airbnb in Australia alone. Ms Jenkins said more people were using sharing sites as a way of milking every cent of value out of their homes. “With the sharing economy gaining momentum, we are seeing an increase in the amount of people renting out their homes when they are unoccupied,” Ms Jenkins said. She said that by renting out a home for even a few weeks a year, the effective cost in capital gains tax liabilities might end up overwhelming any income made from renting it out. “If your property significantly increases in value, you might end up paying more in capital gains tax than what you have received in income,” she said. This is particularly the case in regions where the value of properties has risen strongly in recent years, such as in Sydney, where some homes used for Airbnb rentals have risen in value by millions of dollars. 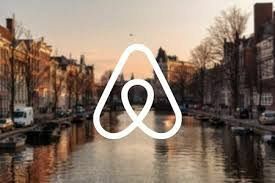 PwC’s national head of tax, Peter Calleja, said there was “no doubt” some participants in the sharing economy were “not across the personal legal and tax obligations of renting out a room, or alternatively, their own home completely”. Mr Calleja said that sharing economy sites needed to do more in consultation with regulators to better educate the public. “It is important shared economy facilitators work with regulators to ensure participants have clear guidance and confidence in relation to their obligations, so that they continue to invest in this important sector,” he said. Another problem, according to Ms Jenkins, was that people who were making money from renting out their houses in holiday periods were, in some cases, not declaring their income. “We don’t believe that this is always deliberate — but rather that people in the sharing economy are often confused about what their tax obligations are,” she said. Airbnb “superhost” Laura Caloia of Rooty Hill in Sydney’s west knows that renting out a room means she will be levied with capital gains tax on the part of the house that is rented out if she ever sells it. She paid $420,000 for the house five years ago, and the property has risen substantially in value during Sydney’s property boom. But Ms Caloia has a plan: hanging on to the house as a rental property for the long term, thereby avoiding crystallising any capital gain.